Urbank Machine, Inc. is a one stop shop for all of your machining needs. We provide precision products to your exact specifications using steel, stainless steel, aluminum, brass and plastics, as well as meeting your needs for forging and casting. Urbank Machine will also handle your products requiring heat treatment, plating, painting and assembly. 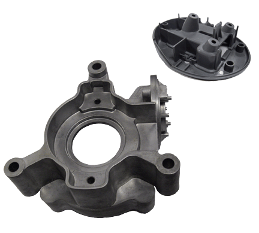 We are a full service shop that only builds close tolerance molds, tooling and fixtures for die casting, plastic injection, and the extrusion industries. We utilize the latest technology to provide our customers with an end product that is efficient, durable, and price-competitive. Urbank Machine, Inc. approaches every customer with the intent of building a long-term relationship. We believe it is that attitude that has caused us to grow, and why our customers consider us a valuable partner. Our attention to detail has enabled us to provide close tolerance molds and dies to customers in a variety of industries including automotive, agricultural, sporting goods, medical and communications. 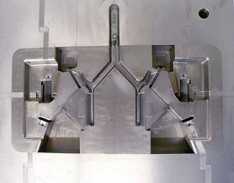 We consistently provide molds and dies that perform up to your specifications. Our team has more than 90 years of combined experience. This makes us a valuable resource for our customers. From the concept to the completed project, we will work with you on such critical areas as design and production feasibility. 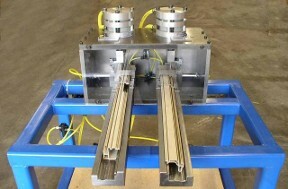 Delivering your mold or fixture on time is as important to us as it is to you. We will do everything possible to meet agreed upon deadlines through dilligent work and excellent communication. Urbank Machine Inc. offers drafting and design services with full data transfer capabilities. We commonly work in SolidWorks, CADKEY, and Mastercam software suites.